Hey everyone! I just started a store where you can buy all things Cuban-American! For example, you can buy the shirt below. 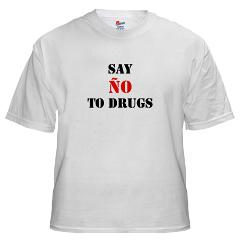 Don't say no to drugs, because if you really want to stand your ground, you must say ño.